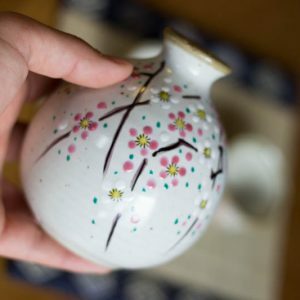 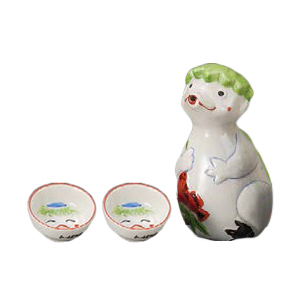 Sake from the puckered-up button-like mouth, the blank stare from the eyes, this sake vessel is the jewel of the playful spirit. 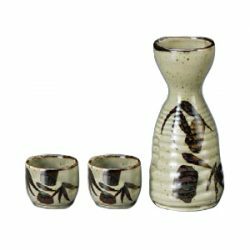 Designed to the most intricate points, when this sake vessel arrives, first allow your eyes to drink in the enjoyment of the sake vessel. 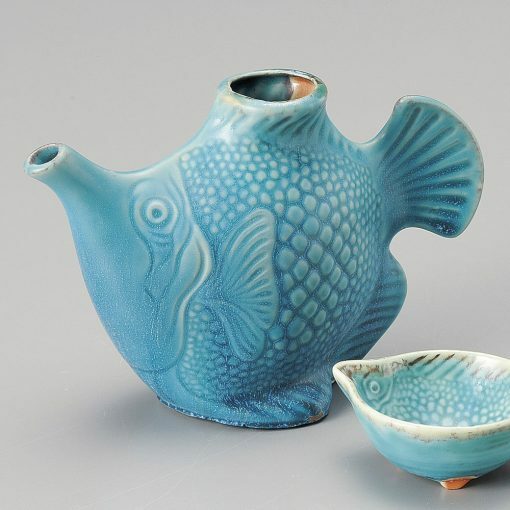 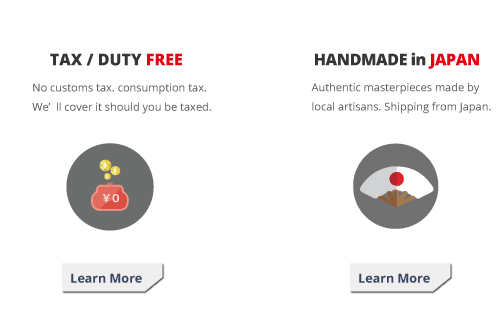 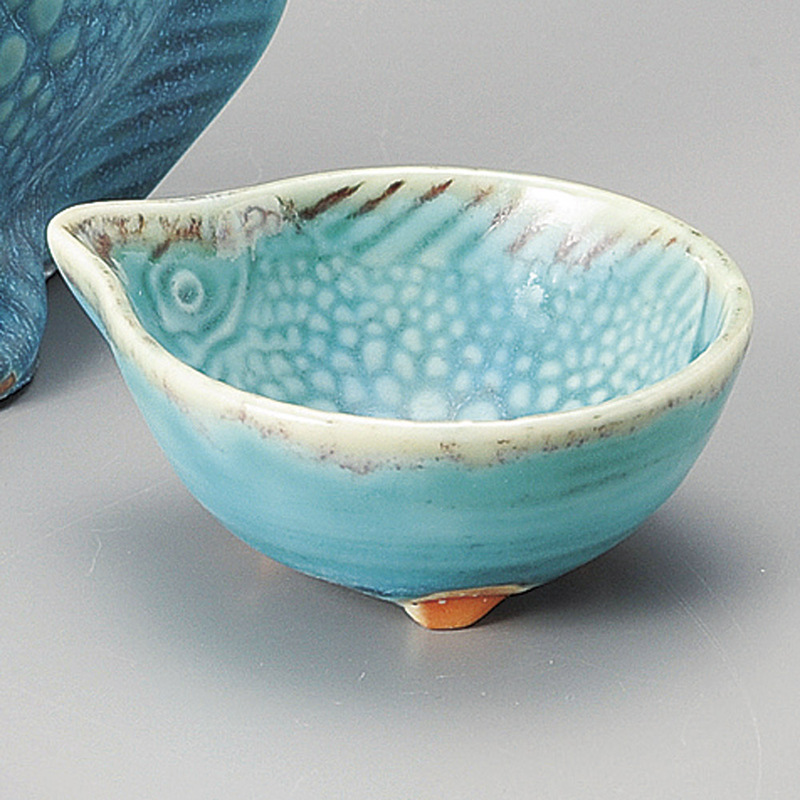 The ochoko included in the set also has a fish design in the interior of the sake cup. 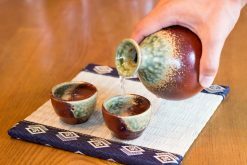 The mouth of the ochoko matches the tokkuri and we are sure there are many ways to enjoy this set, other than drinking Sake. 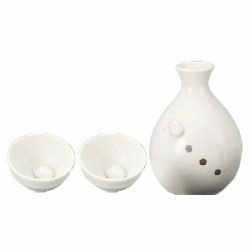 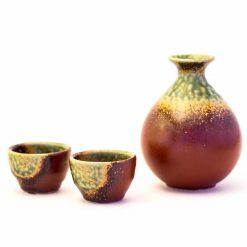 If Japanese cuisine is enjoyed by the family, a soy sauce holder, spice vessel, there are many ways the set can be utilized. 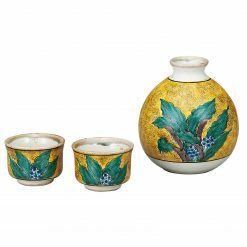 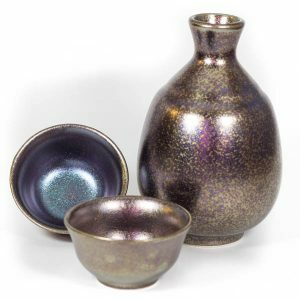 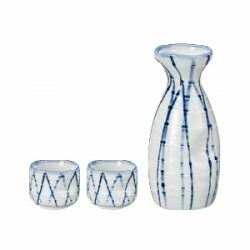 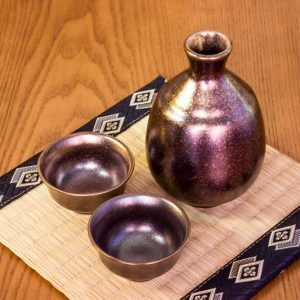 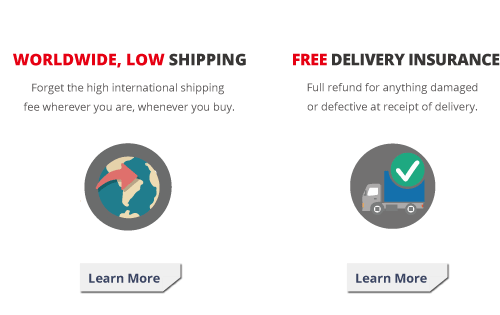 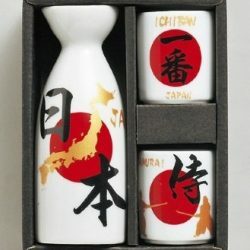 Though there is a part which uses stainless steel, on the whole, it is a ceramic sake vessel, bringing the feeling of warmth pottery is well-known for. 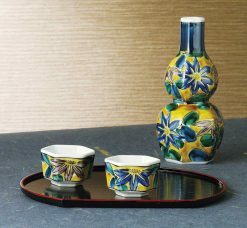 Also note, as, with many ceramic items, the tokkuri retains heat so when hot sake is placed inside this vessel, the temperature of Sake will not easily be reduced. 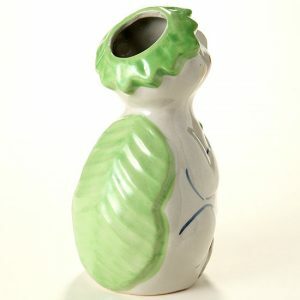 On a gloomy day, Sake in this sake vessel may help regain energy and zest for the following day! Because this piece is created in the shape of a fish, the ceramic of the body area is thin. 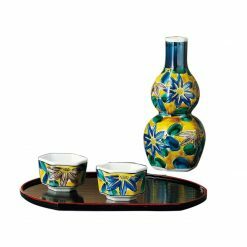 However, the base is sturdy to ensure there are no issues with stability. 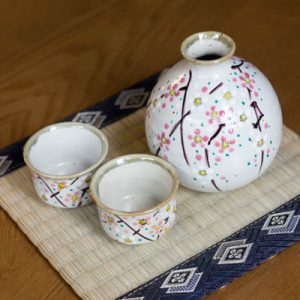 Of course, this item can be used for normal, or everyday use, but it is also perfect ometenashi, Japanese hospitality when someone who loves Japanese culture visits. 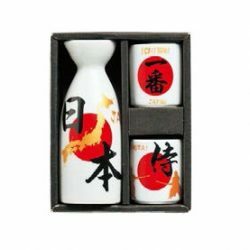 It is a fun item, especially when Sake lovers “catch” the tail fin while pouring Sake, providing happiness to all who are watching as well!